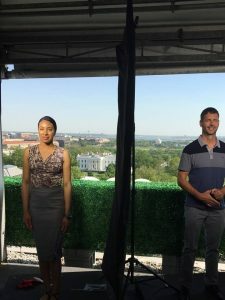 Celebromedia.com contacted us and wanted to put a barrier in between reporters across from the White House to give them audio isolation. 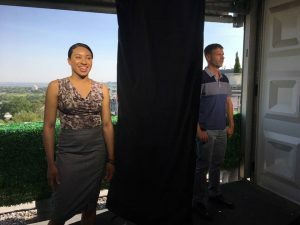 We provided them with a solution of a panel of high mass vinyl to hang between them to let them speak to their individual cameras, but in the same space. They were very happy! Check out the link for the solutions we provide. This entry was posted in Blog, News, Success Stories, Uncategorized. Bookmark the permalink.